Everyone in Vermont thought this was a good rainy day activity. Happy Tuesday! This blogisode is brought to you by the Montshire Museum of Science, where I am currently sitting on a chair by an exhibit of fog while writing this blog. I have written my blog in strange places and at odd times in order to complete my daily promise to you, friendly readers, but this must rank as one of the oddest. Sing with me, “A foggy day, in London town…” great song. Listen to Ella Fitzgerald’s rendition for a wonderful musical experience. As I am writing, I should tell you, there are 8-year-old boys shooting fog at me. It’s only fair. I’m the strange woman working on her computer in a kid’s museum. We're a merry band of rainy day misfits. despite his cranky response to it, you have your mother push him around, you have the 13 year old run around, and the good sport husband plays in the exhibits with the 3 year old—who is over the moon with excitement. Then, once everyone is happy, this person (meaning me) finds a foggy corner and quickly blogs, knowing this might be the only chance in the day. This, I believe, is what they call motherhood. So let’s get back to it, since it is rude of me to be apart from my whole family today. You’ll bear with me and understand if my blogisode is a little on the shorter side today. The fog is thickening. Oh! And the winner of our quiz contest is……Cathy Creason! We had some excellent answers, but she has to win based on the thouroughness of her essay answer which bordered on a journal entry. Enjoyable. 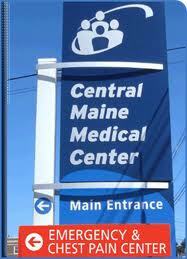 So…we were coasting into the Central Maine Medical Center with no gas, but no sirens needed. Whew. I managed to keep all the drama focused on Rob and not become the needy one, mission accomplished. I watched the ambulance pull up and then parked, crossing my fingers that the car would start later that night and at least get me to the 7-11 across the street. If nothing else, the gas pumps were in view and Rob was in (yet another) hospital bed. No worries. I called Larry Hall (general manager and friend at Quisisana) to leave word that we’d arrived at the hospital and not to expect me until much later. I was told everyone was doing well. No worries. Perfect. So confusing inside, but Starbucks! And Internet! And gas across the street! now, but later I’m going to try to find a map and attach it to this post so you can see what I mean. It’s the kind of building that you have to take the correct set of elevators to get to the proper wing—you know what I mean? And if your husband was just delivered in an ambulance and someone is giving you directions, you have to really concentrate to understand where they are telling you to go. I am not good at this. Directions seem to bounce off my forehead instead of going in. I get obsessed with making sure the person knows I am listening to them, rather than actually listening. Then I walk away, get lost after the first turn and have to start all over again. I think that’s my New Year’s resolution. Hear directions. Remind me on January 1st, because I can’t start now, in August. That’s just dumb. I finally get to Rob’s room….which is in…..(wait for it….) the maternity ward. Hooray! I felt right at home. In fact, I was immediately nauseous and having contractions, it felt so familiar. It made me want another baby, which I promptly told Rob as soon as I got into the room. My request was denied. Like, what did HE have going on? There was a nurse in the room when I got there, and I don’t remember her name, but I’m going to call her Nurse Meredith, just because I had a friend named Meredith as a kid who I really loved, and she had blonde hair and a raspy voice. Therefore, anytime I meet a blonde with a raspy voice who has a good sense of humor, in my head (and in this blog) I call them Meredith. Funny that it also matches the description of Meredith Baxter Birney. 1) Plug all electronics into their proper chargers—into the extention cord you brought from home because hospital rooms use their outlets for silly things like…heart monitors…and the nurse might get mad if you unplug it. Not that I have any personal experience with that. 2) Find the most comfortable chair that is available. I am not saying STEAL the more comfortable chair from your neighbor’s side while the patient is asleep, swapping it with the crap broken chair on your side. That is wrong. I would never do that. 3) Locate the following items: extra pillow, extra blanket, towel, washcloth, any available toiletries. 4) Locate TV remote and make sure it is working. Frequently the sound comes through the remote, which doubles as the ligh switch and nurse call button. It is important to make sure all things are in working order, although the nurses station does not always enjoy a “test” call. They do not see it as diligent. They see it as annoying. 5) If you are in New York, place a call to give a credit card to PAY for the TV service. Correct. You have to PAY for TV service in NYC. I am happy to report that Central Maine Medical Center, in addition to free Internet, also has free TV. Which I can confirm works, because Rob’s roommate was blasting a marathon of COPS at full volume. All night. More on him and the irony of his television viewing in just a minute. I think I’ve covered all the duties. Except for the obvious one, which is to be the audience for the Nurse Meredith-Rob Meffe comedy routine, which was taking place at that moment. Rob: 43. I just had a birthday. Nurse Meredith: Happy Birthday. Height? Rob: 170 maybe? I’m not sure. I’ve lost a lot. It’s about what I weighed in high school. Nurse Meredith: Congratulations. You smoke? Nurse Meredith: Not at all? Never? Nurse Meredith: Well that’s refreshing. Nurse Meredith: You. You’re the picture of health. You maybe the healthiest guy I’ve ever checked into this place. Nurse Meredith: We get all the junkies and alcoholics. Rob: In the maternity ward? Nurse Meredith: No, we just get so many cases of pancreatitis that we have to put the overflow somewhere. So they go here. Rob: Drunks and babies. Great combination. Nurse Meredith: I know right? Nurse Meredith with her family. later she met a physician whose wife had died of cancer, leaving him with three kids and they got married. 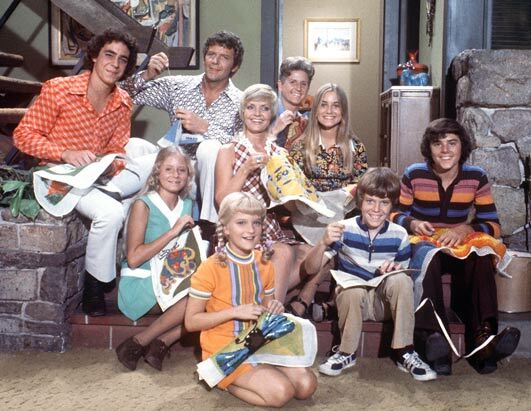 “We’re the Brady Bunch” she told us. She also said that her husband was a dare devil and an airplane pilot. He was building his own airplane out of a kit—I think it was made of canvas. This was one of those people that you look at and think—wow—we live TOTALLY different lives. It was kind of awesome. c) a long drive back to Quisisana—which was complicated (more ‘turn at the blueberry bush’ directions) and hazardous because of the wildlife. e) a worried Jane Orans who might like to see me resurface with some information about Rob that might allow her to get some sleep. He’s a good guy. I drove off hoping I got back in time for whatever tomorrow held.